yesterday i wrote that fans were able to vote for Michael for the Face of the Tribe by using the hashtags #MichaelBrantley and #FaceOfTRIBE on both twitter and facebook. this morning, MLB Network announced that the winner is Corey Kluber. congratulations! 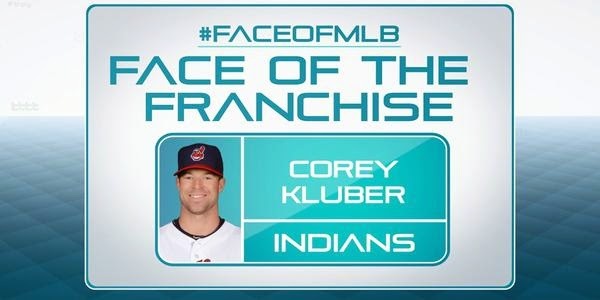 on January 30, Kluber will go head-to-head with the Face of the Rays (who is being voted on right now) in his pursuit of becoming the 2014 Face of MLB. the bracket showing all the pairings can be found here. i kind of assumed Kluber would end up winning because he won the 2014 AL Cy Young Award. but the vote was a lot closer than expected. according to the Indians' twitter account, Corey beat out Michael by just 2 votes. TWO VOTES! that's worse than Michael losing the breakout hitter GIBBY Award by 1.1%. we were so close Brantley fans. all we needed was a few more tweets and we would have gotten our boy on the bracket. sigh. maybe next year.